Billy and Emily put the judges and the crowd on the edge of their seat with death defying skating act on America’s Got Talent Season 12 on Tuesday, June 6, 2017. Brother and sister duo incorporate dangerous spin moves into their breathtaking roller-skating act. “Both of you are incredible,” said Heidi. “Yu guys are incredible. It was death defying. First time I saw you was better, now is even more better,” said Simon. Billy and Emily gets four yeses from the judges. They going to the next round of the competition. 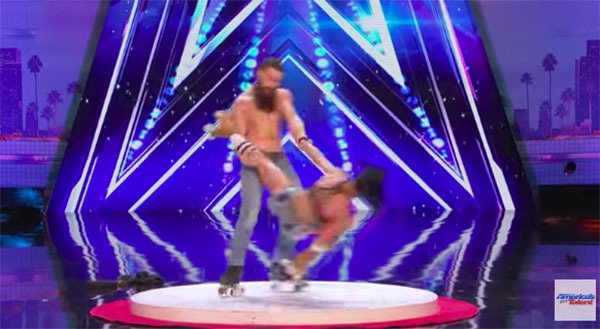 What can you say about Billy and Emily’s performance on AGT Season 12? Share your thoughts and views on the discussion box below.